A Month in the Country is the first stage play produced for ITV, but it is not in any sense a typical television drama of the mid-1950s. 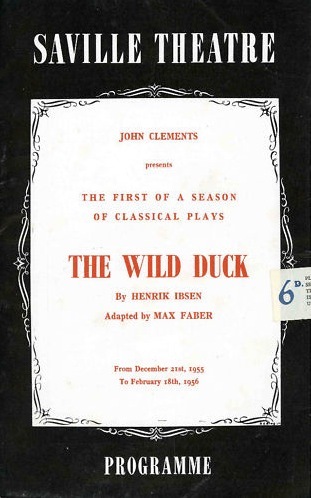 Like John Clements’ production of The Wild Duck (1957; discussed in a previous post here), this lavish Turgenev adaptation was not recorded in a television studio using multiple electronic cameras. Rather it was shot on 35mm film with a single camera in a movie-style set (and fortunately it survives in the archives). The cast, including Margaret Leighton, Michael Gough and Laurence Harvey, could have graced a top-level feature, and the director Robert Hamer had only six years before made one of the defining classics of the British cinema, Kind Hearts and Coronets (1949). 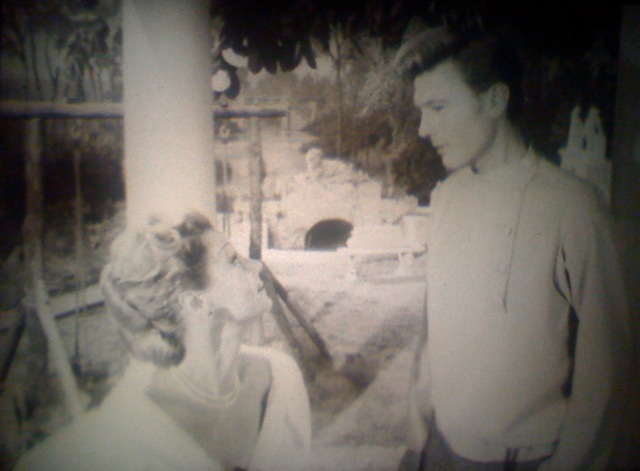 I have just watched the BFI National Archive’s good-looking 16mm viewing copy of A Month in the Country. In researching the production I have become increasingly intrigued by John Clements (1910-1988) in his dual role as a producer for both the stage and television at the start of ITV in 1955. There are only a few figures who have attempted to bring together both creatively and commercially the stage (as opposed to stage plays) and the small screen. Even though his engagement with Associated-Rediffusion seems to have lasted for less than two years, on the evidence of The Wild Duck and A Month in the Country it produced some exceptional work. Twenty years earlier, in 1935, John Clements founded the weekly repertory company known as the Intimate Theatre, Palmers Green. 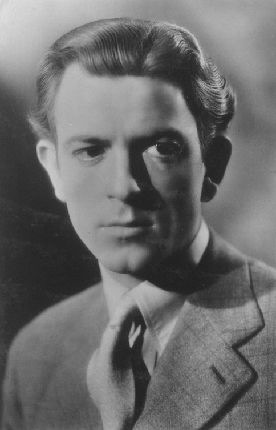 Often producing and starring, he played numerous roles for the group over the next five years, as well as appearing in films including Things to Come (1936) and The Four Feathers (1939). During the war he worked extensively for the Entertainments National Service Association (ENSA), and he continued a career as a prominent actor and theatrical manager in the post-war years. From 1966 to 1973 he was director of the Chichester Festival Theatre, taking over from Laurence Olivier who had launched the venture in 1962. At the same time as his work for Associated-Rediffusion, Clements had also been engaged to mount productions at London’s Saville Theatre. He opened his tenure with a production of The Shadow of Doubt by Norman King, a new play that the BBC would present in a studio production three years later. Clements also announced plans to stage from the winter of 1955 a run of classic revivals which would run for just eight weeks and then be filmed for commercial television. According to Richard Linklater writing at the time in Tribune, ‘This season of revivals is, I understand, only possible because of Mr. Clements’s association with commercial television. (‘It’s the best in London, but…’, 6 January 1956, p. 6) The Wild Duck was one of these, as was a now-lost presentation of The Rivals; both were filmed in early 1956. As his first production for Associated-Rediffusion, and before ITV went on the air John Clements produced the film version of A Month in the Country. Unlike The Wild Duck, there does not appear to have been an original stage production. The film was shown just five days after the start of the new service, and was hailed by critics of the time. Bernard Levin wrote that with it, ‘I. T. V. scored its first great triumph’. Working with the translation by Constance Garnett (published in 1934 in Three Plays by Turgenev) and with adapter Alwyne Whatsley (working with Hamer; she took a similar role on The Wild Duck), Clements cut the original to ninety minutes. The events of the play, written 1848-50 and set on a Russian country estate in the 1840s, are focussed even more tightly than in Turgenev’s text on the competition for the love of the young tutor Belyaev (a quietly glowering performance from Laurence Harvey). The rivalry is between Natalya, in her late twenties and the wife of landowner Islayev (Geoffrey Keen), and the seventeen year old Vera (Zena Walker). 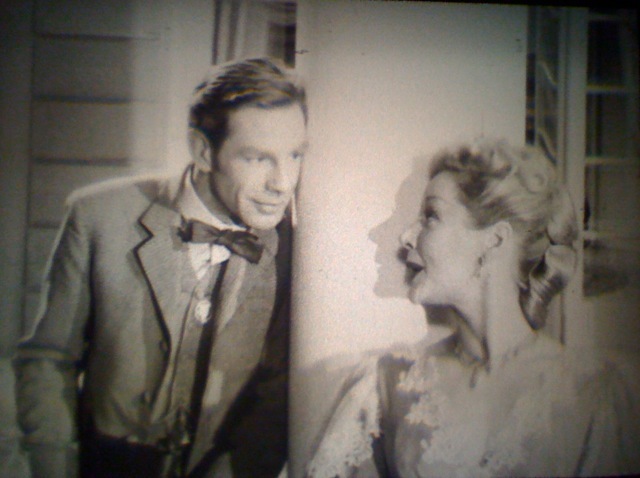 Natalya is played with a cut-glass accent and a desperate English reserve by Margaret Leighton, who was to marry Harvey in 1957 and divorce him four years later. Complicating these affairs of the heart are Michael Gough’s impressive Rakitin, a family friend himself in love with Natalya, and a sort of comic sub-plot with the doctor Shipgelsky (Miles Malleson) and the rich neighbour who Vera finally elects to marry on the rebound from Belyaev’s rejection. But these minor characters are side-lined, along with the bulk of Turgenev’s sophisticated class analysis. Miss Leighton skirted the edge of tragedy, but she never quite toppled into it – or at any rate no more than, say, the mistress of The Cherry Orchard. And round his Natalia Mr Clements set this lovely play dancing and tinkling into a thing of light and beauty. Visually, the film remains a delight, but for this viewer this week, A Month in the Country felt brittle and superficial, with little of the density of feeling that was achieved by, say, Jonathan Kent’s Chichester Festival Theatre 2010 production of Turgenev’s play in Brian Friel’s adaptation. After the first half-hour came a raucous transition to ‘Much-Binding-in-the-Marsh‘, and some remarks about brightness and whiteness; while Natalya’s great scene with Beliayev was followed by a boastful voice declaring ‘I brush my teeth once a day.’ The intrusion of advertisments seemed unforgivably crass. I am researching the life and career of Margaret Leighton and was never able to watch “A month in the country”. Please, could you tell me how you gain access to the program? The BFI National Archive in London runs a wonderful viewing service – for a fee, you can book to watch the film in a 16mm print on a Steenbeck editing table. Make a first enquiry here http://www.bfi.org.uk/help/contact/form/57 at least a fortnight before you want to make a viewing appointment. If you have any problems, I’ll try to help again – you can find my e-mail in the Contact section of the blog above. I hope you enjoy it! Thank you for your helpful answer…On my next trip to London, I really hope to view the program.